The home of Ian Hughes, Keynote Speaker. relevant, amusing and above all, inspiring’. 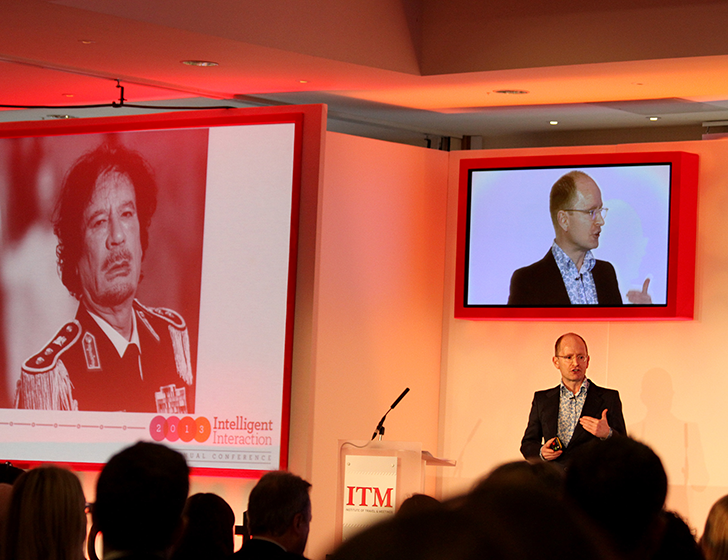 I deliver keynotes both nationally and internationally to a wide range of audiences. Story, we know, has a far greater impact on listeners to convince, persuade, motivate and engage in a way that facts and statistics alone simply cannot do. What story-telling secrets can we learn from the greatest storyteller that ever lived? 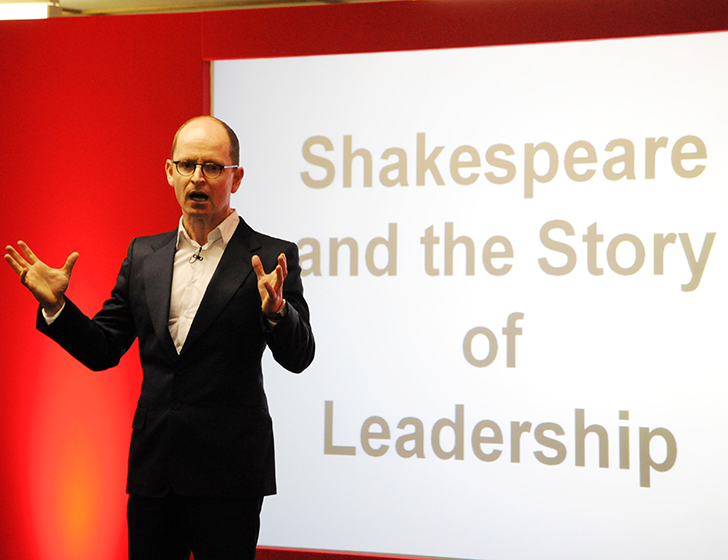 At the heart of Shakespeare‘s work is an exploration of leadership and what it means to lead. 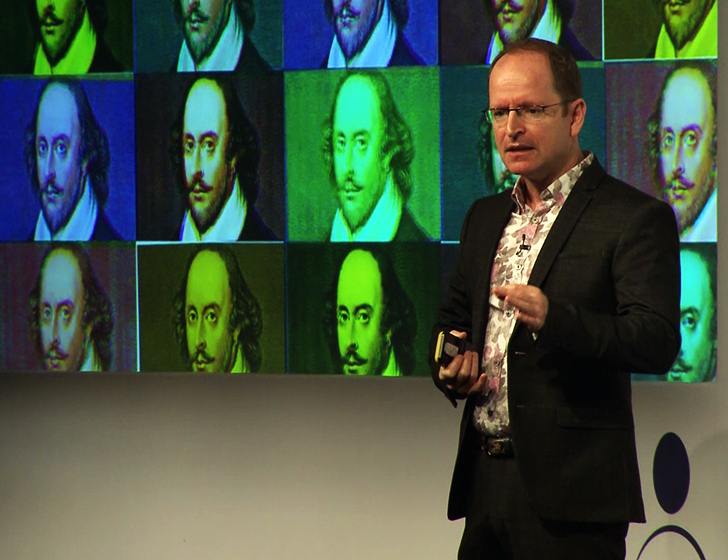 400 years after they were written the modern business leader can still learn much about their own leadership style from Shakespeare‘s plays. 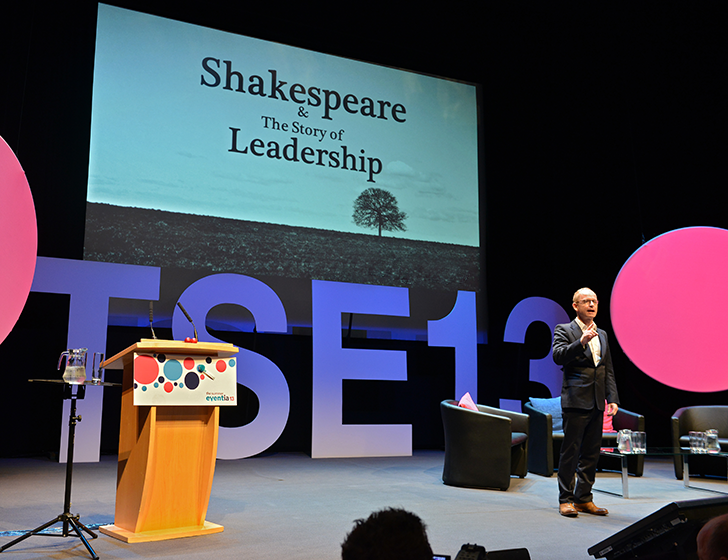 The leadership lessons contained in the plays provide a template to write a more engaging business narrative. Speaking up matters. The ability to speak well can transform our business and our personal lives. Speak Up! reveals the five steps of successful speaking and how these can transform the way others perceive you. As we increasingly rely on technology to interact with each other, this keynote is a timely reminder about the importance of face to face connection and the techniques we can employ to enhance it. Ian is a communication expert who uses his background as an award-winning actor to engage, motivate and inspire in the training room and as a keynote speaker. The recipient of the first Royal National Theatre/Ian Charleson award – presented to Ian by Sir Alec Guinness – he joined, and spent a total of 10 years, with The Royal Shakespeare Company. Ian subsequently performed with the most prestigious theatre companies in the country as well as appearing in the West End in several large- scale musicals and plays. Ian‘s film and Television work includes Dr Who, Torchwood, Robin Hood, Eastenders, Stella, Gavin & Stacy, Ransom, White Gold, Foyles War, Doom , The Road to Guantanamo and Bright Young Things. As a voice-over artist, Ian has recorded numerous campaigns on TV and Radio, as well as supplying the voices for TV animations and Computer Games. He has also recorded over 70 Television documentary narrations. Ian is a Corporate Facilitator and Business Performance Coach. He works with organisations, both public and private sector and Government bodies, helping increase impact and performance. 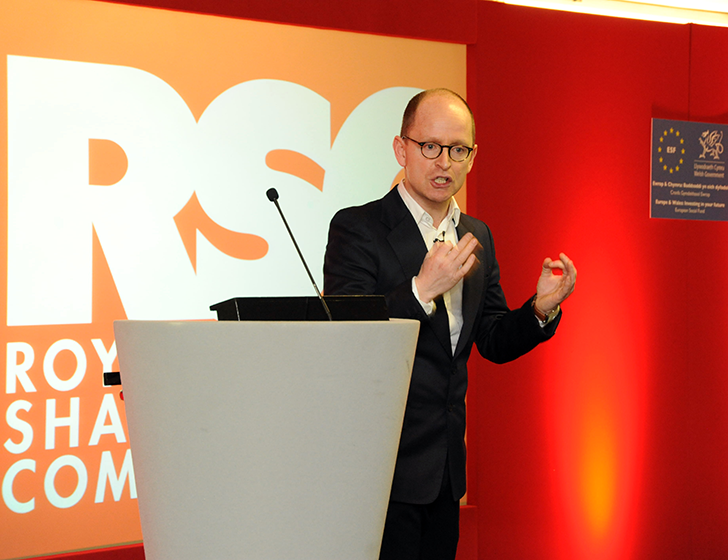 He delivers highly practical workshops helping delegates with Presentation and Communication skills. Ian was Head of Acting at St Marys University, London and has regularly taught at Drama Schools in the UK as well as teaching for Cambridge University, Heidelberg University and Zurich University. 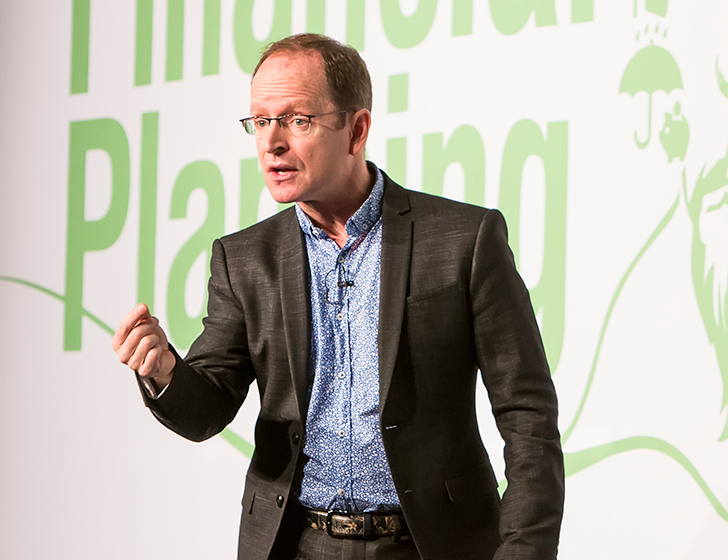 As a keynote speaker, Ian brings his wealth of performance experience to deliver an unforgettable experience for your conference and delegates. Ian has a BA(1st) & MA (Dist)from The University of Birmingham. He is a Member of The Professional Speaking Association, The Global Speakers Association and is also a member of British Actors Equity. 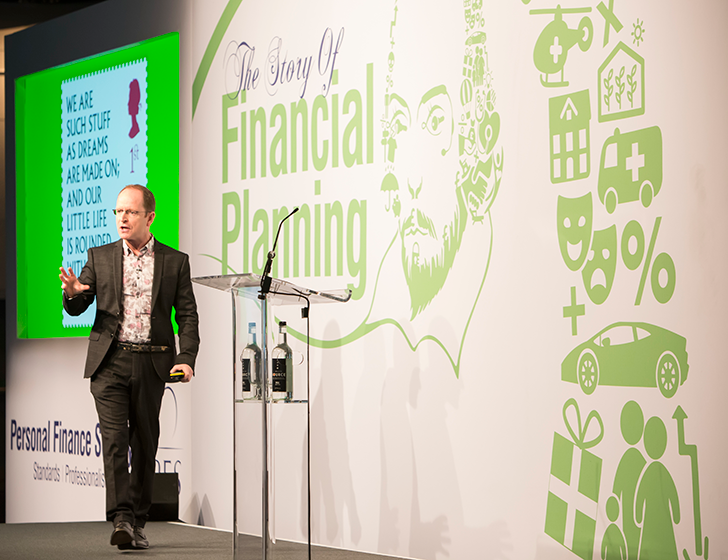 You‘re looking for a speaker for your event but are fed up with the usual selection on offer and want something a little different to entertain your delegates and also to make them think. You‘re looking for a speaker with a proven track record in speaking to audiences both small and large, someone who has performed to well over 1 million people in a 25 year career and who knows how to hold an audiences attention. 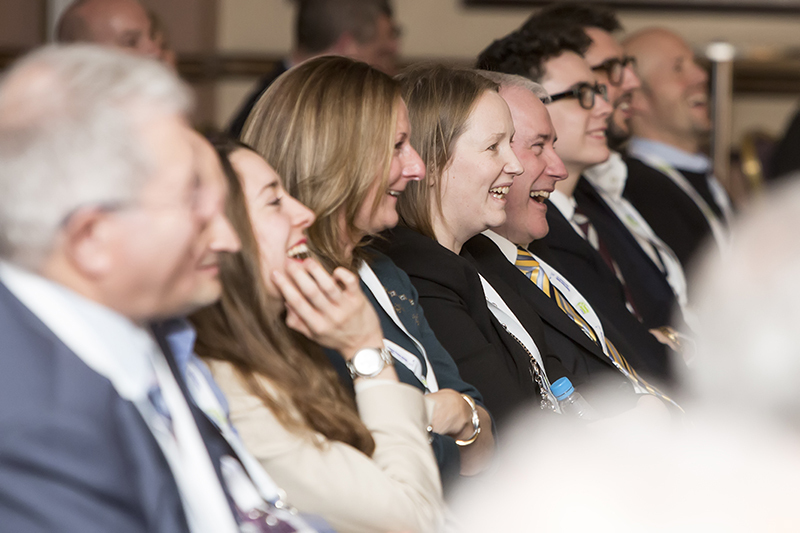 You‘d like a speaker who works to find the right Keynote for your audience and who enjoys actively engaging your audience with interactive exercises. You also need someone who is professional, who you can talk to in a briefing call and who will turn up well in advance on the day to ensure that everything run smoothly. ‘During my career I have been fortunate to listen to many Keynote Speakers across a wide range of subjects. Ian Hughes' speech was, quite simply, one of the very best....fascinating and insightful. 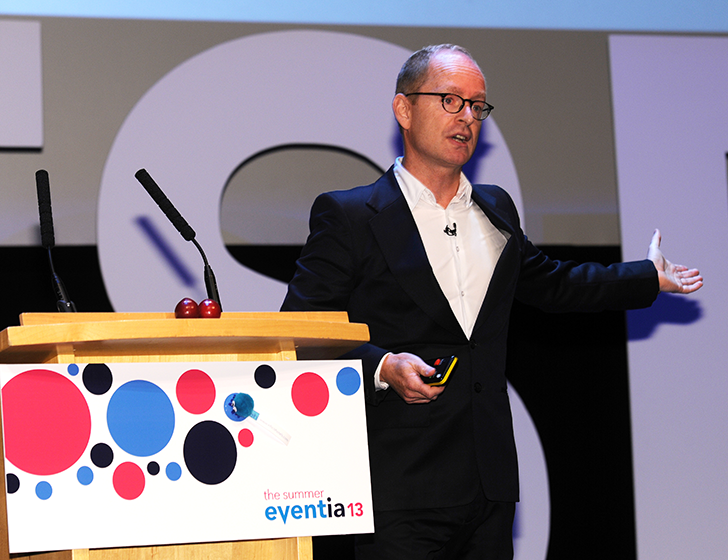 What sets this keynote apart is Ian 's unquestionable knowledge, humour and above all the powerful and passionate delivery that ensured the audience was captivated throughout. Utterly brilliant’. Matthew Selby, Director of Business Development, Capita. Drawing on his background as an actor, teacher of acting and University Lecturer, Ian offers highly practical, stimulating and rewarding Presentation skills courses. 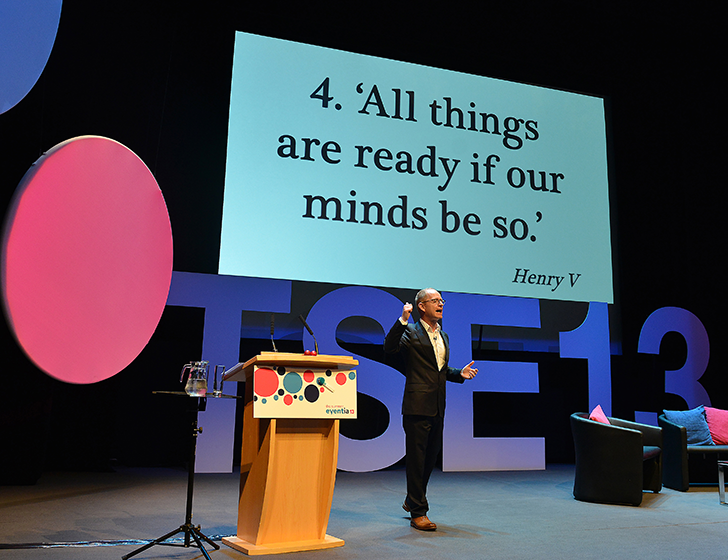 These have helped transform the presenting style of hundreds of delegates, through in-house training or Open courses in the UK and also internationally. Ian has lifted techniques directly from actor training and translated them into relevant, applicable and ground-breaking exercises suitable for use in a commercial and business context. Ian has worked as an Associate for some of the UK‘s leading training companies and has delivered courses for, amongst others, Interoute, The Welsh Assembly Government , Johnson & Johnson, Healthcare Financial Management Association, Skrill, Legal & General, AXA, Roche and DX. To find out how Ian can help you and your organization stand out from the crowd, please get in touch. I‘d love to hear from you if you‘d like further information or would like to book me to speak.